Moulamein is a small town located in the Riverina district of New South Wales, approximately 850 kilometres south-west of Sydney. 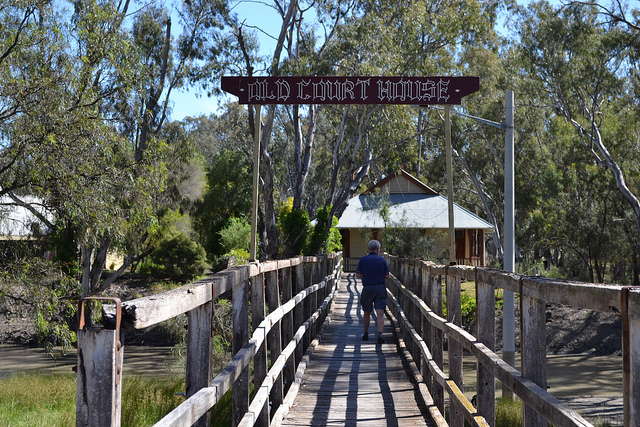 It is the oldest town in the Riverina district, with the original court house completed in the 1840s, and early court records dating from 1847. However this court house was later demolished and the current court house is located on Tallow Street. Moulamein is approximately 9 hours driving from Sydney. Visit Sydney Criminal Lawyers® for Criminal & Traffic Lawyers for Moulamein Local Court.